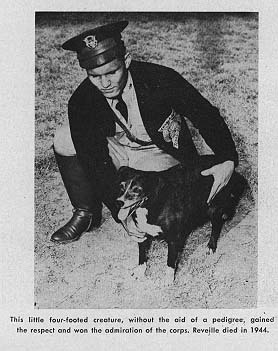 Way back in 1931, a group of cadets were tooling down the road and accidentally smacked a small black and white dog. Thus begat Reveille I. Why Reveille I? The next morning when the trumpets on campus played the traditional morning tune, the dog got up and barked at it. Reveille I landed the mascot duty the next season when she led the band onto the field for the halftime performance. She even landed a honorary title of Cadet General of the US Army. When she died in 1994, she was given a formal military burial on the north side of the field facing the scoreboard. There were many Reveilles after the first. The second ended up being a shetland sheepdog and served about 8 years of duty. Reveille II was an American Collie and since then, she’s been that way ever since. Another requirement for all Reveilles is that she must be female. The Reveilles are all buried with the first Lassie. That’s what reminds us of when we see this little pup. Now Lassie was a Rough Collie but in this insistance it fits. 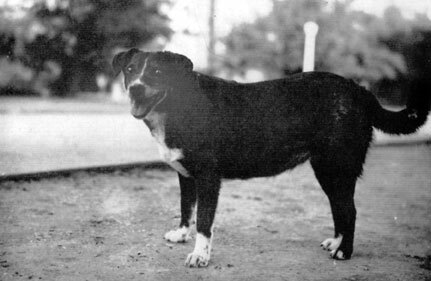 Lassie was a superstar among dogs with the TV show of the same name running from 1954 to 1973. 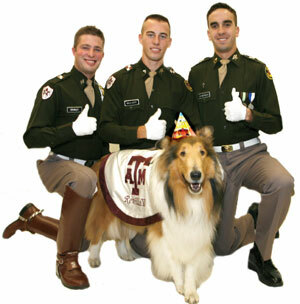 Does Reveille have the same kind of star power Lassie does? 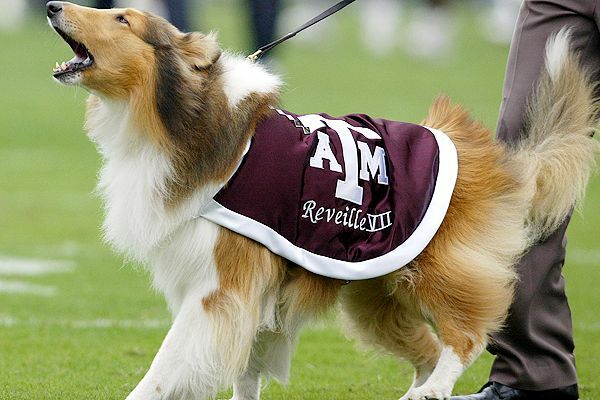 You know, when it comes to college football, Reveille rules but sorry Lassie rules the roost in worldwide dogbrity. Even with dog mascots, we have to say UGA ranks out on top of Reveille. Now while that may be, Reveille is way more regal. So while we may not get up for this puppy in the middle of games, we do pay Reveille her respects. In terms of live mascots, she’s mediocre at best. But we can’t forget the glory and the tradition she brings to the Aggies of Texas A&M. Could they spice it up a bit? Maybe have some costumed version of Reveille bouncing around with a horn? No. And everyone, including us, is okay with that.